Just before the start of May and Beltane is Walpurgis Night - or Witches' Night as some like to call it. The veil between the worlds is thin and magic is potent. At this time of year, when myth and reality can mingle and our dreams and desires just might come true if we wish it so, Antique Beat and A Curious Invitation are hosting London Esoteric. 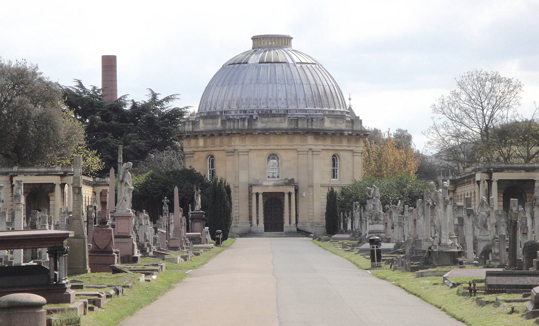 This two-day festival of events focusing on the weird and wonderful includes talks, workshops and concerts in the restored chapel at London's Brompton Cemetery. Subjects covered include telepathy, secret societies, LSD, theremins, a possible time machine (pictured right) and a class on candle magic run by me. Candle magic is a basic and central skill in the repertoire of pagans, witches and indeed anyone who practices magic. It’s easy to learn, useful and coveted as a favourite method amongst practitioners. If you always wanted to know how to cast a simple magic spell in accordance with old European traditions, then this workshop is for you. Lucya Starza leads you step by step with principles, methods, and how-to: we provide all supplies. By the end you will have a prepared candle and spell to take away with your newly-gained expertise, and will know how to do your own candle magic at home. London Esoteric runs over the weekend of 28 and 29 April 2018. It is at Brompton Cemetery Chapel (north gate off Old Brompton Rd, south gate off Fulham Rd), Kensington, London, SW10 9UG. I am also the author of the book Pagan Portals - Candle Magic, published by Moon Books. 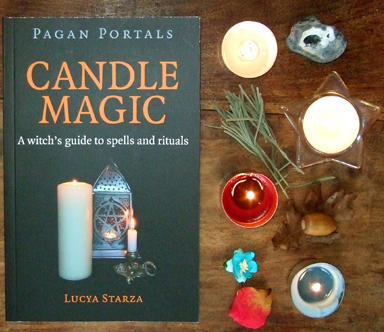 You can order Pagan Portals - Candle Magic via Amazon or buy copies at Treadwell's bookshop. I love Brompton cemetery - I used to live around the corner and it was one of my favourite places to go. I even did a bit of work for the Friends of the Cemetery. Thanks! I'm really excited about this event. I so wish I could take this class! I don't practice magic at all, but the subject--in addition to Celtic paganism--is endlessly fascinating to me. I'm going to pick up some of the Pagan Portals books this summer and will have to make sure I buy yours! Shame you can't get to the workshop, but I hope you like my book! How exciting!Looking forward to see it and bring friends.